SAINT JOHN, N.B. 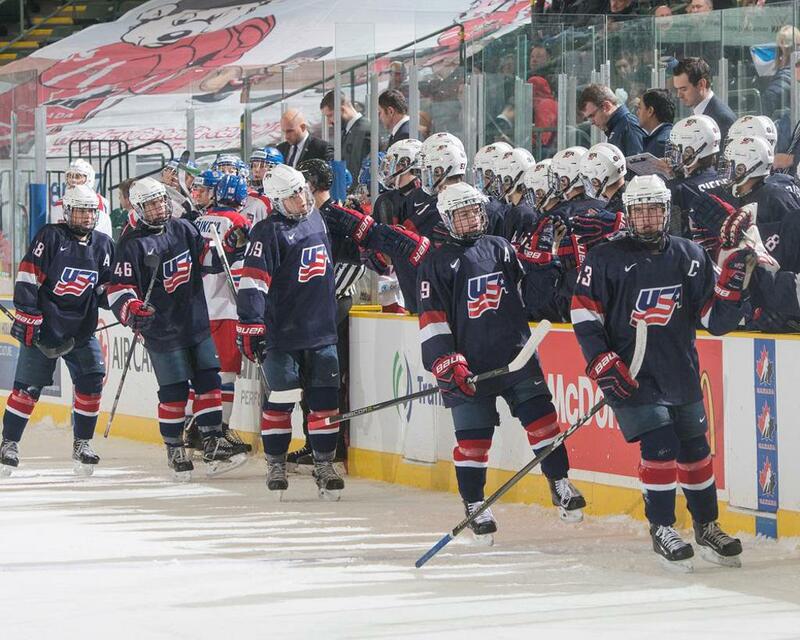 -- The U.S. National Under-17 Team faces Canada White at 7:30 p.m. local/ 6:30 p.m. ET in game three of the 2018 World Under-17 Hockey Challenge in New Brunswick. 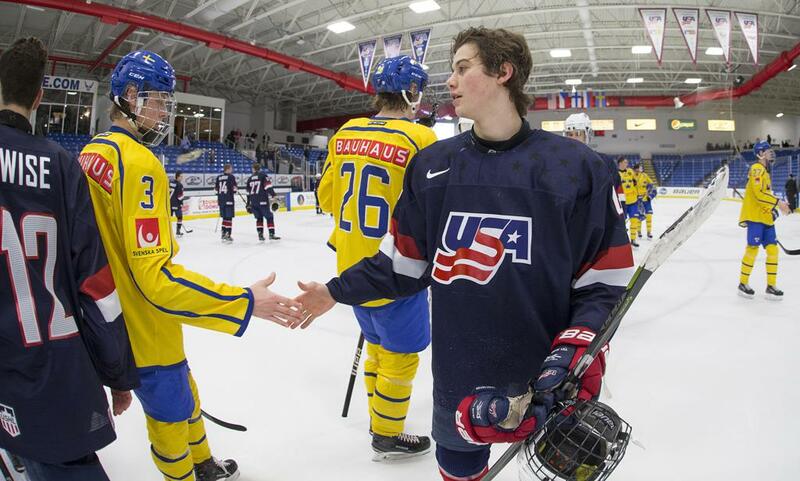 The U.S. National Under-17 Team came from behind scoring four third period goals, to defeat Canada Black, 5-4 in its last preliminary game of the 2017 World Under-17 Challenge. Cole Caufield scored twice in the victory. Hunter Strand (Anchorage, Alaska) and Landon Slaggert (South Bend, Ind.) each tallied a goal and an assist as the U.S. National Under-17 Team defeated the Czech Republic, 5-1, in its first preliminary game at the 2018 World Under-17 Hockey Challenge at Harbour Station in New Brunswick. Dylan Peterson (Roseville, Calif.), Luke Tuch (E. Greenwich, R.I.), and Matthew Beniers (Hingham, Mass.) also recorded goals in the victory. Matt Beniers (Hingham, Mass.) was named U.S. Player of the Game.